All Around Limousine Service has been serving Merrillville, Crown Point, Valparaiso, Chesterton, Highland, Dyer, Michigan City, and Hobart Indiana since 1985. All Around Limousine has several limousines, party buses, and executive sedans to handle all of your transportation needs. All Around Limousine also has many professional and polite chauffeurs that will make your Southwest Michigan Wine Tour a trip to remember. If you are having a great time and you go over in time, additional time will be charged between $50 – $125 per hour. Save 5% – 10% on Sundays! Save money during the off season between November 1st and March 1st as well. 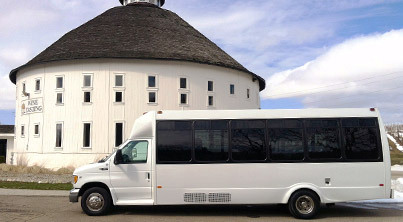 We also offer up to $100 off limo wine tours to Southwest Michigan on Fridays. Prices are subject to change and may change with the price of fuel.